I should get this out of the way first: I’m an M. Night Shyamalan apologist. I’ve enjoyed all of his movies except that one with Mark Wahlberg about the trees — The Happening. (And it’s not like I hated it). And I am an especially big fan of Unbreakable and Split, before I even knew they were a part of the same universe. I’m a rare breed in the land of film criticism. This is all to say that I was definitely excited for the final film in the trilogy that no one even knew was a trilogy until the final scenes of Split hit theaters almost exactly two years ago. 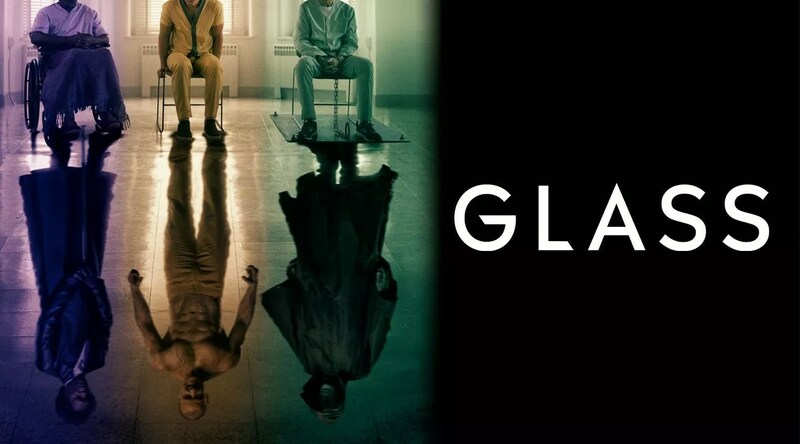 Glass sets up a showdown between three modern-day superheroes: The first is Bruce Willis’s David Dunn, who’s come to be known as The Overseer. He has superhuman strength and sees snippets of people’s lives if they touch him, which allows him to figure out who the baddies are and try to prevent crimes. The second is James McAvoy’s The Horde/The Beast — a group of 23 different personalities all living within the same man, Kevin Crumb. The Beast is “the villain,” and when he emerges, Kevin physically changes and turns into, well, a beast. Finally there’s Samuel L. Jackson’s Elijah Price, aka Mr. Glass, who suffers from brittle bone disease, but is also a genius mastermind and comic-book obsessive. Nineteen years ago, Glass orchestrated a train wreck that killed everyone on board … except Dunn. He did this to force Dunn to acknowledge his superhuman abilities, and to prove Glass’s theory that in real life as in the comics, everyone always has an “opposite.” Glass’s bones will break under even the slightest pressure, but Dunn was indeed unbreakable. If you didn’t already know everything I just wrote, you’ll be pretty lost if you see Glass. There is NO context given from the previous films whatsoever — Shyamalan is just off and running with the story of how these three characters all come to be in the same psychiatric hospital overseen by Sarah Paulson’s Dr. Staple. For the first half of the film, I was engaged and really psyched about where things appeared to be heading. We see how Dunn and Crumb are each captured and brought to the same facility where Price has been for nearly 20 years. Price is now heavily sedated (the staff quickly figured out how smart he was, and that keeping his brain foggy was the only way to control him), so unfortunately Jackson doesn’t do a whole heck of a lot during the first half. In fact, to me, the movie seemed more like a Split sequel than a film centered around its title character of Mr. Glass. I was blown away by McAvoy’s performance in Split — how he just effortlessly and completely transformed himself into the matronly Patricia, and then the hilarious 9-year-old Hedwig, and then so many of Kevin’s other personalities. It was amazing. But as the saying goes, there can be too much of a good thing. McAvoy remained the centerpiece in Glass, and he still have a stellar performance, but the near-constant shifting of personalities started to ring false. Shyamalan should’ve shown more restraint with McAvoy’s character and given us more of Dunn. I don’t think I’m spoiling anything major away by saying that in the second half of the film, the trio plots to escape the psychiatric facility. And things get exciting for a bit. But then … well, the plot kind of falls apart. I do not consider there to be any sort of “classic M. Night twist” in this film. But there are a few “reveals,” one of which made sense to me while the other did not. The reveal that didn’t make sense to me seemed like it was just shoved into the story to purposely complicate things or possibly set up the potential for another franchise (ugh) and could’ve easily been left out. If it were, I believe I would’ve enjoyed Glass more than I did in total. In the end, and I know this is corny, but I really do feel like Glass suffered from split personality disorder. Shyamalan threw too much into the final act that cut off a more promising and exciting resolution. The film closed with a whimper, even if you appreciate the overall message it seemed to be sending, as I did. So do I think other diehard fans like myself should see Glass? Yeah, I do. I mean, you gotta see how it all ends, right? Just do yourself a favor and temper your expectations.